Are you ready for an alchemical transformation of the baser elements of your life where you feel stuck? 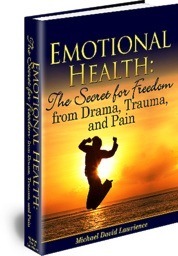 Are you ready to face discomfort for a paradigm shift into a better life? See more about how the Sedona vortex sites possibly could help you. Different unique locations in Sedona have different types of gateways/portals for higher dimensional energy for humans to connect and interact with. These areas of higher Spiritual Light quotients give us the opportunity to interact with them through our conscious intents and level of consciousness. 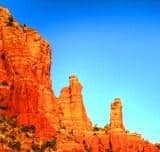 Sedona as a sacred site resonates at a higher frequency of energy. 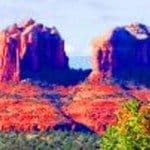 Sedona vortex sites as a combination of Earth and incoming higher dimensional energies as well as its sacred geometry, serve as a catalyst for healing of resistant emotional patterns which create pain and suffering. 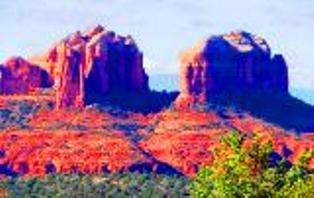 This Sedona energy also provides many visitors who tour the land with professional guide’s unique spiritual experiences. Sedona possesses electromagnetic fields of higher frequencies as well as underground quartz crystal deposits which amplify the energy. Unusual lines etched in the surface rock sparkle with small bits of this quartz, testifying to the unseen deposits. The native Indian tribes never lived in Sedona. They instead visited for ceremony and vision questing. They entered this sacred energy cathedral like a church with reverence. We can learn much from Native American Indians. When first entering a site make an offering such as even pouring a little water upon the ground, ask permission of the Guardian Spirit of that area, and state your prayer of intent. While in a sacred site still your mind, as best as possible, while opening to the stillness of nature and your experience in the moment. More and more visitors journey to Sedona vortex sites on quests of self-examination for release and healing of obstacles and imbalances in their lives. These visitors seek guidance to move beyond their mental and emotional limitations into the opening of the next step in their business and personal lives. Sedona vortex sites offer an opportunity to face those parts of your life patterns which no longer work or serve your highest good. These patterns conflict with your higher life purpose. Through choice and increased awareness these patterns of conflict can purify within the amplified higher energies of Sedona, as your Higher Self readies you to receive in the right time. Sedona vortex sites align and activate higher dimensional energies, as well as ground you into the Earth energy. Your experience in Sedona depends upon your intents, conscious and unconscious, your present state of beliefs and finally your level of consciousness. In other words, the outcome of your experience will be tailored made for you. This experience may defy logical explanation. Visits to Sedona vortex sites since 2013 involve higher quotients of Spiritual Light entering your energy field. As your Spiritual Light quotient increases, the easier meditation becomes as well as the ability to connect to other dimensions to receive intuitional understanding and positive direction for your life. You may experience feeling lighter in spirit or a sense of well-being. 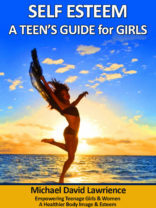 On the other hand, you may experience an emotional roller coaster ride of highs and lows or feel ungrounded or imbalanced. The electromagnetic energies of Sedona interact with our energetic auric fields. This explains why you may feel imbalanced until such a time as you energy fields adjust and balance with the new energy. Use your time on the land for introspection, inner questing and inspiration. Your experiences and perceptions will depend upon your level of consciousness. If you allow it, whatever you need to look at in your life will bubble up in your face for purification and transformation. When you leave Sedona your alchemical transfiguration will continue when you return home. This requires surrender and becoming comfortable with the uncomfortable. Remember only discomfort contains enough energy to propel us out of our ruts of comfort towards a better way. Keep doing the same thing you have always done and you will keeping getting the same results. From your experience of the alchemy of Sedona’s sacred vortex sites chose to fly high as you keep your feet on the ground. Some of Sedona better known vortex sites include Airport Mesa, Bell Rock, Boynton Canyon, Chapel Trail, Cathedral Rock, and Court House Butte.